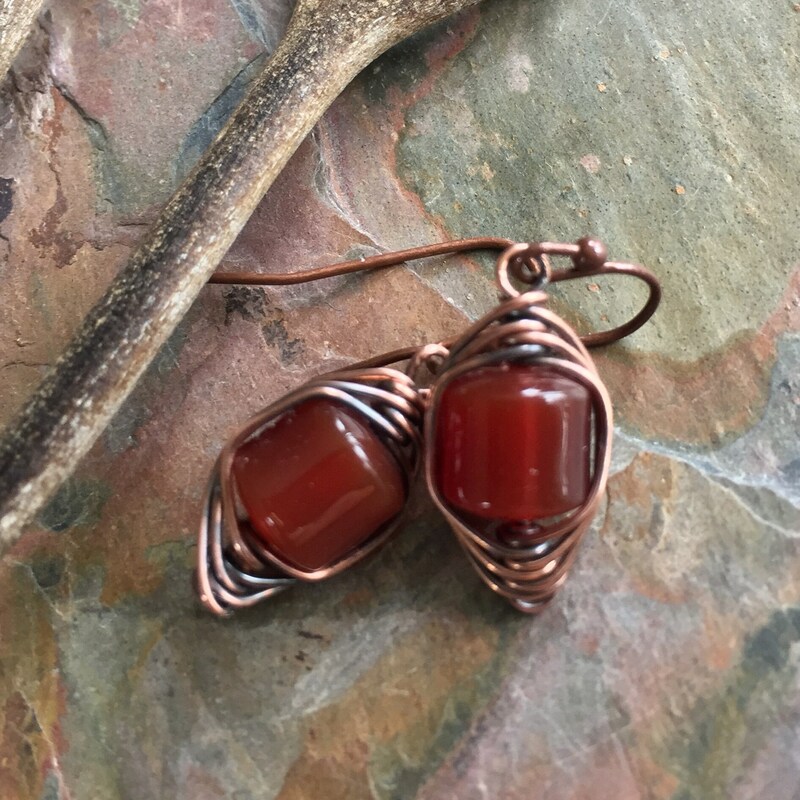 This listing is for a beautiful Carnelian gemstone beads wire wrapped in antiqued copper wires. 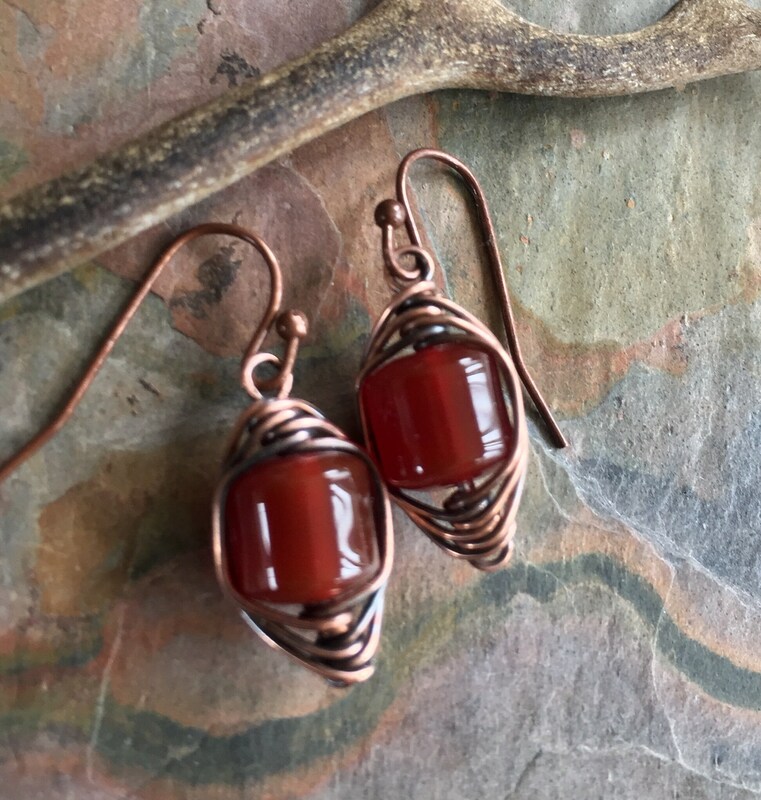 These fabulous earrings are hand wrapped intricately with 8 mm genuine carnelian in herringbone weave style. 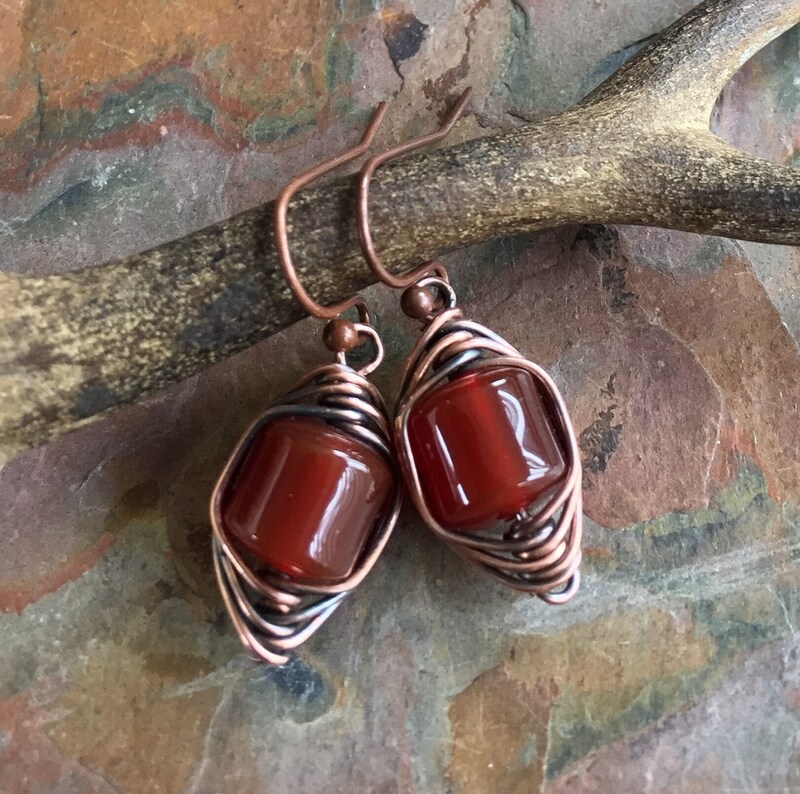 These are great earrings to wear anytime you want a look for casual or special occasions. 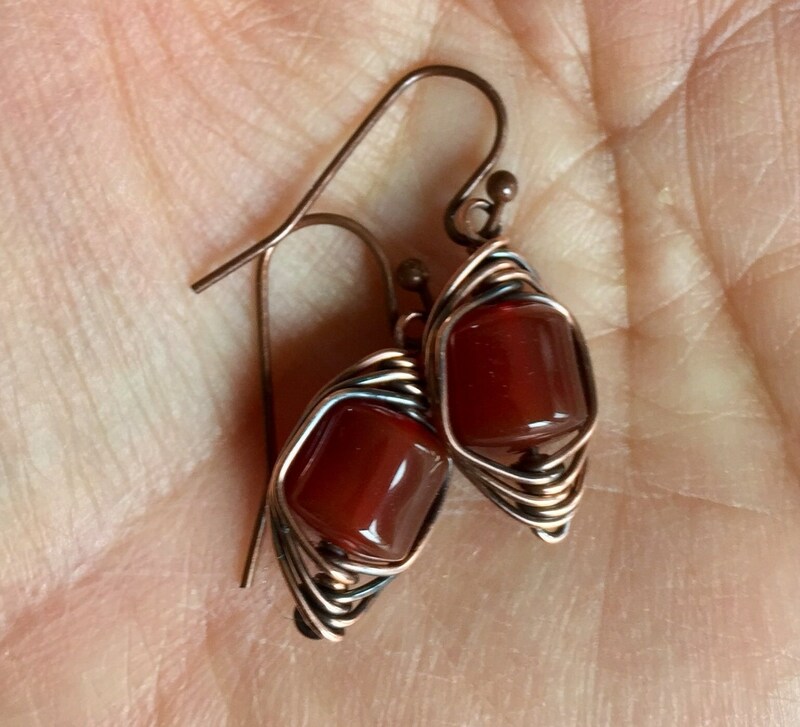 They dangle freely about 5/8 to 3/4 inch from the bottom of the .925 sterling silver, gold plated, antiqued copper french earwires. They are sure to become your favorite pair. ALL my items are shipped in a gift box with a bow.